Leah Griesmann grew up in Northern California and American Samoa. She earned her M.A. in Creative Writing at Boston University, and has taught writing and literature in places as startlingly different as Las Vegas and South Korea. She’s received grants for her fiction writing from the Humboldt Arts Council, the North Coast Cultural Trust, and the Caldera Arts Colony. Most recently she was a 2010-2011 Steinbeck Fellow, and currently teaches at San Jose State. I’m impressed with the number of grants and fellowships you’ve received. Since time and money to pursue one’s writing are so important, what advice do you have for writers looking to apply for a grant or a fellowship? Is there a secret to writing a successful application? I would say that of the fellowships or grants I have actually received (and not counting the longer list of ones I’ve been turned down for), I generally had a specific project that I was applying for. For example, with the Steinbeck Fellowship I had finished stories from my story collection, a draft of my novel, and a very clear and specific outline for both of these projects. These book projects really were underway and pretty well-realized in their intent by the time I applied. But then I know other people who have received grants or fellowships based on the excellence of completed past work with only a rough idea of what they wanted to do next. For myself, I’ve had grant projects that were very specific, and usually for work that was already begun. Once you’ve been awarded the grant, what’s the most productive way to use it? Generally, what time span does it cover? The time span varies, depending on the grant or fellowship. Some are limited to a specific location and have specific requirements while others may offer a free-floating chunk of money for writers to use as they see fit. You were awarded the very prestigious Steinbeck Fellowship. What did you use the time to work on? Were there requirements of you other than writing (teaching, readings, etc.)? The Steinbeck Fellowship is wonderful in that it has very few requirements—it offers writing time, and two readings are required, and then there are other sort of developmental activities (informal meetings, literary activities, et cetera) that are very helpful in developing work or making contacts. So there is a residency component, but really it’s a very low-requirement fellowship in that the purpose is for all the time—nine months—to be spent on writing. I used the fellowship to work on my novel, “A Distant Territory,” a literary political thriller set in American Samoa, and to complete drafts of most of the stories in my Vegas collection. I really believe I would have never completed the novel draft, certainly, and many of the story drafts without this fellowship because it took a lot of uninterrupted time to finish these projects. In addition, I got some great editorial feedback from people involved in the Steinbeck program. But back to your question on making the best use of grants. When I was notified of the Steinbeck Fellowship I was living out of the country, in South Korea, and I knew that I was only going to accept the fellowship if I could really use all the time for writing. That is, I did not want to have to work at an outside job during the fellowship, because that would have defeated the purpose. Therefore I made some pretty strict financial and work-related choices. For example, I lived in an Airstream trailer for the duration of the Steinbeck Fellowship—for two reasons: one, it was affordable given the expense of the Bay Area, and two, it was limiting in the right ways, meaning it sort of confined me to a space where I would be forced to write, rather than socialize or enjoy my surroundings. Not that there wasn’t a certain charm in living in an Airstream—there definitely was, but mainly it was like waking up every day in a shiny, oblong, pill-shaped aluminum office, the confines of which don’t really lend themselves to anything other than writing. 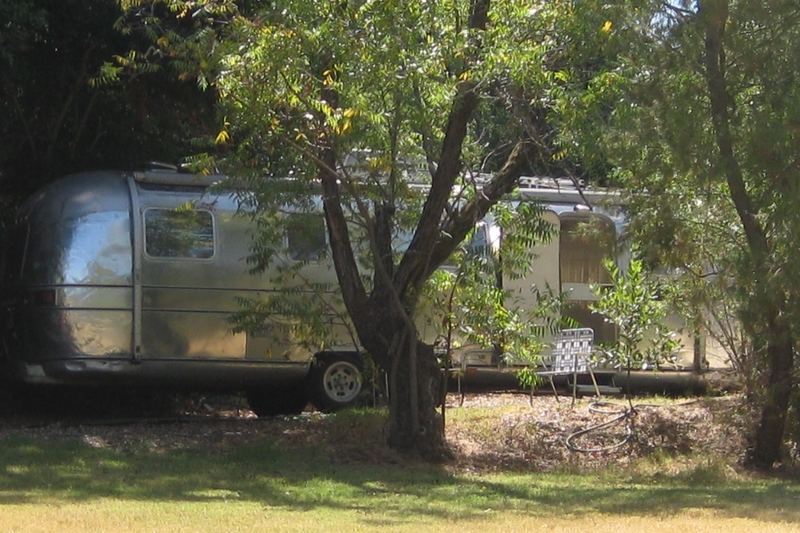 An Airstream trailer! Are you still living in it? It sounds like a perfect studio! (Laughs) No—after nine months of Airstream living in the East Bay during the rainy season, I’m happily ensconced in the lower wing of a Victorian right near the San Jose State campus in downtown San Jose. Like most writers, you’ve supported yourself by teaching, but I’m struck by the unusual variety of places you have taught – Boston University, University of Nevada/Las Vegas, and Hanyang University in South Korea. I can only imagine how different the experience, the culture, and the student body must have been. What were the highlights of your experience in each place? The experiences were completely different. The full spectrum. I taught Creative Writing at Boston University, and that was great—intense, challenging, in a good way. Wonderful students, very academic, yet a pretty homogenous population—lots of short stories about the suburbs. UNLV was wild—very diverse and very interesting, and the academics were…well, let’s just say there was a lot of remediation going on. But I have fond memories of those students, of our class discussions, of reading their writing, because so many of them had life experiences growing up in Las Vegas that were so far outside the mainstream. Hanyang University was fantastic. My last semester there I was teaching American literature and composition to English majors, and let me tell you, they set the bar high. They mastered material so quickly and so thoroughly. As a group I’d say the South Korean students exceed the Americans in terms of their diligence, drive, and dedication to academics. Right now I’m teaching at San Jose State and that’s a good fit. It’s very diverse, and the students are solid, academically speaking. Tell us a little about the story “Desert Rats.” Why did you select this particular story to be read at Stories on Stage? It’s a comical story about a recent transplant to Las Vegas stuck in the middle of a rodent triangle. This story, like many of the stories in my collection, is set in a (fictional) apartment complex called “The Desert Rose.” It’s a good story to read out loud because of the interaction between the characters. I noticed you were a featured reader at Why There Are Words, our “sister” reading series in Sausalito, this past April. But have you ever had your work read by an actor before? “Desert Rats” was read at San Jose State University during my Steinbeck Fellowship, with myself and three professors reading the various roles. The professors were cast as various characters because I knew it was the type of piece that would lend itself well to being read by different voices, and also because I don’t like doing readings! So I am thrilled to have my piece read by a real actor at Stories on Stage. I plan to sit back and enjoy the show. Sue Staats recently received her MFA in Fiction from Pacific University. She’s currently revising her novella, “The Mitchell Boys,” and working on a collection of linked short stories. Her short story “No Hero, No Sharks” was runner-up for the 2011 Gulf Coast Prize in Fiction, and a finalist for the 2011 Reynolds Price Fiction Award. Her fiction, non-fiction and poetry have been published frequently in Susurrus, the literary journal of Sacramento City College.